I get that it seems like a lot of effort for content that will only exist for 24 hours but it’s so worth it. Tips within a tip – don’t post too many at a time, remembering that the first Insta Story shared is the one that will get the most views. Don’t stress over them – this is definitely where less is more comes into play – they are meant to real and raw. In fact, the most natural and authentic of all the Instagram Stories are those that result in the most engagement. Again, why go to so much effort over content that will disappear as soon as it’s over? Excellent question…exclusivity. People crave exclusivity and the idea that they are in on the secret, that they are viewing something that is just a moment in time is pretty alluring. What to go live with? Instagram Live Video lends itself perfectly to behind the scenes bits and pieces, showing off a new product/service or launch, promotion of an upcoming event or use it to hold a Q&A. Now the tip with the tip – you have the option at the end to save the video to your device – do it. This will allow you to repurpose that content if you so desire or go back over it – those questions asked during a live video broadcast could be the perfect basis for your FAQ page on your website or your next ebook. Okay, not talking about partnering up with the Kim Kardashin’s of the world – her engagement is actually pretty rubbish. I’m talking about joining forces with micro influencers – those that have an engaged following in the tens of thousands. This kind of partnership has the potential to put you and your products/services in front of a huge, new audience. It’s just fact that people are influenced by their peers and they will buy what comes up in the Instagram feed – use that to your advantage. The aim here is to have branded and product hashtags plus original content – not forgetting to tag your location. Posts with great hashtags and location drive the highest average engagement.The best practice recommendation now for the use of hashtags is – 10 per caption. The tip here is to not annoy with too much posting – post consistently and during peak hours/days. Use your Instagram Insights to determine when those peak times are, schedule or plan out your content and don’t post more than twice a day or you run that risk to just being a bother to be scrolled past. Create a branded, interactive hashtag for your business, product or service. This is a great way to boost your engagement. It’s basically free advertising – it categorises your content letting consumers see all of the content under that one hashtag. And, you win too – you too can use that branded hashtag to find user-generated content (more on this below). Essentially, when someone uses your branded hashtag they are exposing your business, product or service to all of their followers. Remember the popularity of #icebucketchallenge? So, what’s your branded hashtag going to be? Sponsored Ads on Instagram is fantastic for promotion. You can showcase one sponsored ad or more using the carousel feature). Promote engaging content to anyone who fits your target audience demographics and you’ll easily extend your reach. For more engagement, run different posts to different audiences – think cold audience versus warm or different target audiences. User-generated content drives conversion rate and growth. Many studies are out suggesting that user-generated content has a positive effect – when someone see user-generated content there is a 4.5% higher chance of them converting into a customer AND a 9.5% higher chance that they interact with the content. And it can be a win win situation – you don’t have to work terribly hard – just collect and reuse authentic user-generated content, photos and videos – while reaping the benefit that consumers love the exposure and feelings surrounding having their content published on your profile. Not talking follower numbers as such – not so much for the vanity metrics. I’m more interested in the measurable metrics that show progress towards a clearly defined goal. So, what should we be tracking? Engagement rate. How do you measure this? Look at your likes and comments, as well as total followers and followers per post, you’ll get a better understanding of your user engagement. Follower growth rate. The growth rate (not just the overall number ok?) of your followers is not to be ignored. Don’t let it out of your sight and you’ll see how your posting frequency or content is making a difference to your brand image and engagement. URL click-through rate. Users can’t click on links in captions but only to the one in Instagram bio and it is super important know how many people are clicking and converting through it. 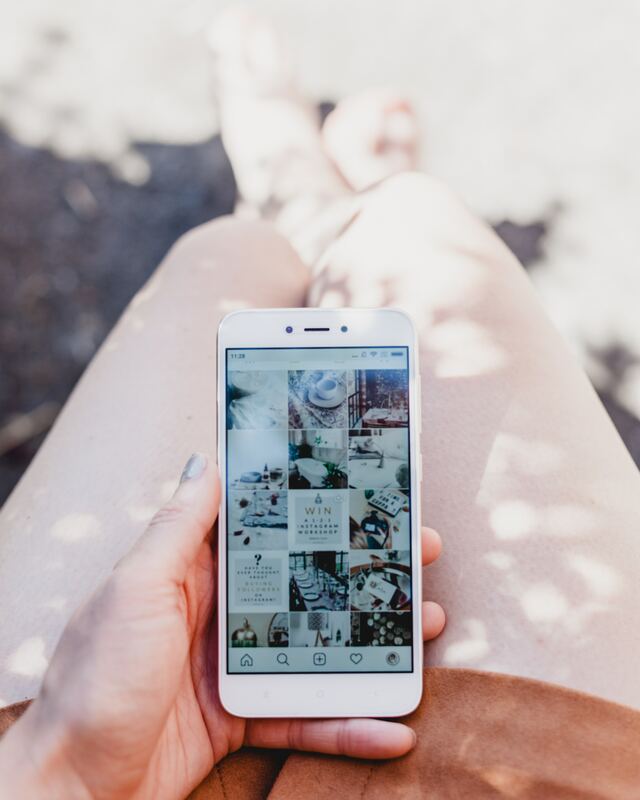 The current Instagram algorithm takes into consideration the length of time someone takes to look at your post. When you use long form content, obviously, it’s going to take them longer to read the post which is great for ensuring that more and more of your content is shown to followers. Using long form content (and video works on the same principle) means readers are less likely to scroll on by and more likely to click on the post to read more. If you need help with Instagram – creating a strategy, learning how to implement these tips, or having a professional manage the account on your behalf book in a strategy session, sign up for a DIY consultation session or get in touch today.